N 51° 33' 27" and E 0° 4' 22"
Ilford in Greater London (England) is a city located in United Kingdom a little east of London, the country's capital town. Current time in Ilford is now 10:13 PM (Wednesday). The local timezone is named Europe / London with an UTC offset of one hour. We know of 8 airports closer to Ilford, of which 5 are larger airports. The closest airport in United Kingdom is London City Airport in a distance of 4 mi (or 6 km), South. Besides the airports, there are other travel options available (check left side). There are several Unesco world heritage sites nearby. The closest heritage site in United Kingdom is Tower of London in a distance of 3 mi (or 6 km), South. Also, if you like playing golf, there are some options within driving distance. We saw 3 points of interest near this location. In need of a room? We compiled a list of available hotels close to the map centre further down the page. Since you are here already, you might want to pay a visit to some of the following locations: East Ham, Woolwich, Dagenham, Walthamstow and Poplar. To further explore this place, just scroll down and browse the available info. Let's start with some photos from the area. Ilford Broadway Sunday April 13th 2014. 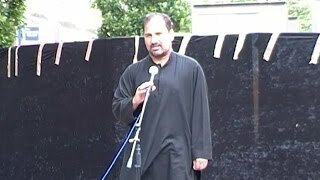 Zakir Syed Rafaqat Hussain Naqvi of London | Majlis-e-Aza Before Jaloos at Ilford High Road | London, UK | 20th July 2014. 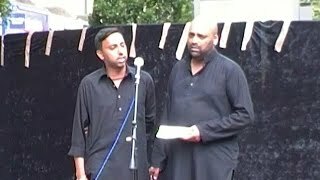 Organized by Matami Sangat Rab-e-Wafa of London | Matami Jaloos | Shahadat Imam Ali(a.s) | Ilford Town Center, London, UK | 20th July 2014. 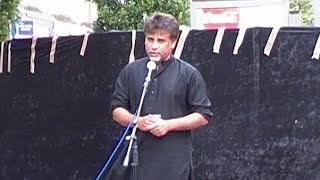 Zakir Saleem Hussain of Bradford | Majlis-e-Aza Before Jaloos at Ilford High Road | London, UK | 20th July 2014. 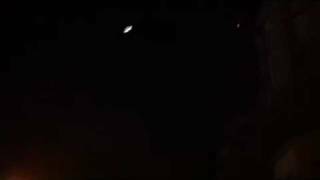 Aleins UFO Martians Scary ilford essex. Eastbound Class 315 train calls at Ilford Station. Zakir Syed Muhammad Haider Naqvi | Majlis-e-Aza Before Jaloos at Ilford High Road | London, UK | 20th July 2014. Ilford South is a constituency represented in the House of Commons of the UK Parliament since 1992 by Mike Gapes of the Labour Party and of the Co-operative Party. Located at 51.564, 0.086 (Lat. / Lng. ), about 1 miles away. The River Roding is a river in England that rises near Dunmow, flows through Essex and forms Barking Creek as it reaches the River Thames in London. The river leaves Dunmow and passes through a group of villages in Essex known collectively as the Rodings, as they all end with the suffix 'Roding'. However, some are a mile or more from the river itself. After Chipping Ongar, the river flows under the M25 motorway by Passingford Bridge and Abridge. Located at 51.5306, 0.0756667 (Lat. / Lng. ), about 2 miles away. East London is the northeastern part of London, United Kingdom. Although without an official definition, the concept of a section of London to the east of the City of London has its origins in 1720 as "That Part Beyond the Tower". By 1950 it was explicitly called East London and was considered to include all of Greater London east of the City of London and north of the River Thames. Located at 51.553, 0.093 (Lat. / Lng. ), about 1 miles away. East Ham was a local government district in the far south west of Essex from 1878 to 1965. It extended from Wanstead Flats in the north to the River Thames in the south and from Green Street in the west to Barking Creek in the east. It was part of the London postal district and Metropolitan Police District. Located at 51.5326, 0.0552 (Lat. / Lng. ), about 2 miles away. Barking was a local government district in south west Essex, England from 1882 to 1965. It included the town of Barking, eastern Beckton and the south western part of the Becontree estate. The district was within the Metropolitan Police District and experienced a steady increase in population during its existence. 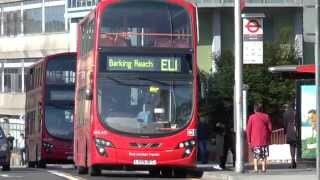 It now forms the western part of the London Borough of Barking and Dagenham in Greater London. Located at 51.5358, 0.0785 (Lat. / Lng. ), about 2 miles away. 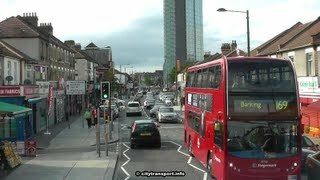 Ilford was a civil parish and local government district in south west Essex, England from 1888 to 1965, covering the town Ilford. The district saw a considerable rise in population throughout its life, caused by the expansion of the built-up area of London, and became one of the most populous districts of its type in England. The district now corresponds to the greater part of the London Borough of Redbridge in Greater London. Located at 51.56, 0.07 (Lat. / Lng. ), about 0 miles away. The Battle of Barking Creek was a friendly fire incident that happened on 6 September 1939, resulting in the first death of a British fighter pilot in the Second World War. Located at 51.5282, 0.0795 (Lat. / Lng. ), about 2 miles away. Browning Road was the home ground of London football club Thames Ironworks, the team that would become West Ham United, towards the end of the 1896-97 season. Located at 51.5435, 0.0552 (Lat. / Lng. ), about 1 miles away. Cranbrook is a district of Ilford in the London Borough of Redbridge. It has been entirely absorbed into the urban sprawl of Ilford, forming the area north of Ilford railway station. It is located at grid reference TQ431872, and is part of the Ilford post town. The name has its earliest use in 1233 as Cranebroc. Moreover, it is named for a tributary of the River Roding, the Cran Brook. Located at 51.5655, 0.06319 (Lat. / Lng. ), about 1 miles away. Bentley Priory was a medieval priory or cell of Augustinian Canons in Harrow Weald, then in Middlesex but now in the London Borough of Harrow. There are no remains of the priory, but it probably stood near Priory House, off Clamp Hill. Roman remains have been found in the grounds of the priory. The name 'Bentley' is thought to derive from 'beonet', a kind of coarse grass. Located at 51.5356, 0.0752778 (Lat. / Lng. ), about 2 miles away. Barking Park, in the London Borough of Barking and Dagenham, in east London, is a park covering just under 30 hectares to the east of Barking town centre. It lies north of Longbridge Road, and is near the boundary with Loxford. The park was the first council-controlled park in the Borough, and was established as a classic Victorian park in 1896. It was officially opened on 9 April 1898 by Councillor C. L. Beard JP, Chairman of Barking Town Urban District Council. Located at 51.545, 0.088 (Lat. / Lng. ), about 1 miles away. Eastbury Comprehensive School is a community secondary school with a sixth form in the borough of Barking and Dagenham in East London. It has dual specialist status in Maths and Computing and Sports. Located at 51.5411, 0.09007 (Lat. / Lng. ), about 1 miles away. Abbey is a political division returning three Councillors to the London Borough of Barking and Dagenham. At the 2006 election Jeanne Alexander, Graham Bramley, and Mohammed Fani all of the Labour Party (UK) were elected for a four year term in office. Located at 51.538, 0.079 (Lat. / Lng. ), about 1 miles away. The Palmer Catholic Academy (formerly Canon Palmer Catholic School) was the first Roman Catholic secondary academy school located in Seven Kings, Ilford, in East London, England. The school consists of 5 buildings, each named after notable Catholic figures. Located at 51.5651, 0.09254 (Lat. / Lng. ), about 1 miles away. The City of London Cemetery and Crematorium is a cemetery and crematorium in the north east of London. It is the largest such municipal facility in the UK and probably in Europe . It is owned and operated by the City of London Corporation. It is designated Grade I on the English Heritage National Register of Historic Parks and Gardens. Anyone may be interred at the City of London Cemetery irrespective of city connections or religious beliefs. Located at 51.56, 0.048 (Lat. / Lng. ), about 1 miles away. Wallend is a locality in London's East End, located in the borough of Newham. it lies to the north of Beckton between Barking and East Ham. Located at 51.5327, 0.0635 (Lat. / Lng. ), about 2 miles away. The London Borough of Redbridge Parks Police Service was a body of constables responsible for policing the parks and open spaces in the London Borough of Redbridge. The service was headed by Chief Officer John Boylin, the former Metropolitan Police Borough Commander for Redbridge. Policing was provided by two shifts, each consisting of one sergeant and six constables. Located at 51.5648, 0.06629 (Lat. / Lng. ), about 1 miles away. East Ham EMU Depot is a depot on the London, Tilbury and Southend Railway line between East Ham tube station and Barking railway station with the depot code EM, between 6 to 7 miles from London Fenchurch Street station, and just west of the River Roding. Located at 51.5431, 0.061944 (Lat. / Lng. ), about 1 miles away. The Exchange Ilford is the main retail shopping mall in the town centre of Ilford, officially within the London Borough of Redbridge (though the postal county is historically given as Essex). It was owned by The Mall Fund for a period of time but has now been sold and reverted to its original name of The Exchange Mall. Located at 51.5596, 0.0724 (Lat. / Lng. ), about 0 miles away. The Ilford rail crash occurred on 1 January 1915 at Ilford railway station on the Great Eastern Main Line in what was then Essex (though now part of the London Borough of Redbridge). On New Year's Day 1915, the crew of the 07:06 Clacton to London Liverpool Street express failed to see that the distant and home signals at Ilford East signal box were at danger. Located at 51.5588, 0.0685 (Lat. / Lng. ), about 0 miles away. The Barking Learning Centre, in the London Borough of Barking and Dagenham, is a community-based learning facility. The centre is located in Barking Town Square and hosts a library, a cafe, an art gallery, a one stop shop for enquiries, and offers a range of courses and qualifications. Located at 51.5364, 0.0798 (Lat. / Lng. ), about 1 miles away. Redbridge College is a further education college based over two sites in north-east London, England. The college has two main campuses, in Ilford and Romford, and offers a range of courses including BTECs, Diplomas, ESOL programmes and Access courses. In addition, Redbridge College offers some higher education courses in conjunction with the University of East London. Redbridge College began life as Redbridge Technical College on 2 June 1970. Located at 51.5598, 0.0708 (Lat. / Lng. ), about 0 miles away. Grandma's House is a sitcom television series broadcast on BBC Two. Written by Simon Amstell and long term collaborator Dan Swimer, the series stars Simon Amstell playing a version of himself: an ex-television presenter searching for meaning in his life. Each episode takes place at his Grandma's house, where Grandma welcomes her family, desperate to see everyone happy. The first series was shown in 2010, the second in 2012. Located at 51.584, 0.0648 (Lat. / Lng. ), about 2 miles away. Located at 51.5427, 0.0481 (Lat. / Lng. ), about 1 miles away. The 1944 Ilford rail crash involved the deaths of nine people, one of them Frank Heilgers, the Member of Parliament for Bury St Edmunds. The accident, at Ilford railway station on 16 January 1944, was due to driver error - a signal passed at danger on foggy conditions. 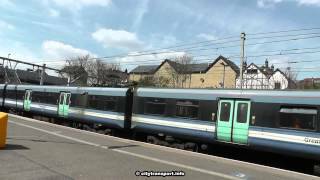 The 2.40pm express passenger train from Norwich to London Liverpool Street ran into the back of the 2.38pm express passenger train from Yarmouth, on the up through line at Ilford station. Located at 51.5586, 0.0680556 (Lat. / Lng. ), about 0 miles away. These are some bigger and more relevant cities in the wider vivinity of Ilford.